Built for dominating touch, the Nike Tiempo is engineered with plush leather and quilted foam for a locked-in feel and unsurpassed touch. 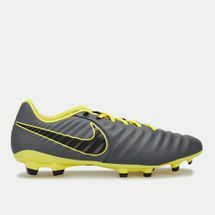 Its lightweight traction is heightened by a unique combination of bladed and conical studs that deliver stability, traction and comfort, while letting you make sudden changes to your play. Shoes like the Nike Tiempo Legend V and the Nike Tiempo Legend 6 add to your fierce skills by enhancing ball control through unrivalled touch and ball feel. Go ahead, change the game with Tiempo boots. 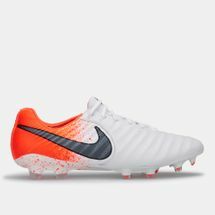 Begin by checking out the latest range of Nike Tiempo Football Shoes online at Sun & Sand Sports and have your order delivered to your doorstep in Dubai, Abu Dhabi and all across UAE. 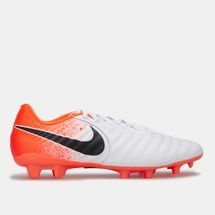 The Nike Tiempo Football boot has been known for comfort since its inception back in 1994, and it’s no wonder that football superstars such as Ronaldinho, Carlos Puyol, Sergio Ramos, among others, wear and endorse these shoes. 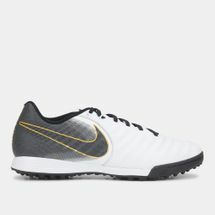 Coming in four different sole designs, namely firm ground, soft ground, artificial grass and indoor, the Nike Tiempo shoes also have different versions of the shoe itself, ranging from cheaper and affordable shoes to ones with better durability and material – so everyone gets what they want and still go home with a Tiempo. 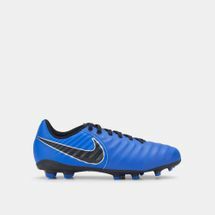 The Nike Tiempos also boast elite versions in the form of their Nike Tiempo Legend shoes, Tiempo Legacy, Tiempo Mystic FG and plenty of others. The Legend Elite shoes even used carbon fibre to reduce weight. Kanga-Lite has been used since the Legend III as it features water-resistant synthetic materials that aim to mimic the supreme feel and ball touch of kangaroo leather while also maintaining the performance in all types of conditions. Made for a dominating touch, the Nike Tiempo boots feature classic leather and also combine modern quilting with lightweight traction and a revolutionary lockdown fit. Shop online with Sun & Sand Sports and get these football boots delivered to your doorstep in Dubai, Abu Dhabi or anywhere else in the UAE.